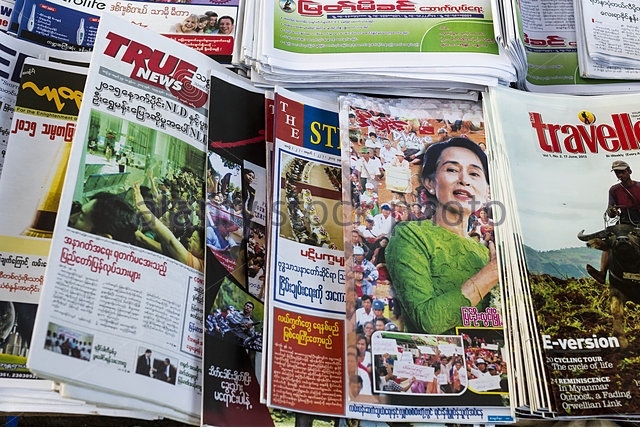 When Myanmar began its transition into a democracy in 2011 and elected a civilian administration in 2016 through free and fair polls, one of the debutants in the country’s new socio-political landscape was the free press. During the dark days of the military junta, the media was either largely censored at home or operated in exile. This meant that the state operated with impunity with little accountability to the citizenry. But democracy brought along the promise of an uncensored media environment wherein journalists could freely report from inside the country, comment on state affairs without the threat of censorship, and directly liaise between the state and society. In fact, a crucial component of the transition process was capacity-building of the local media. This saw international journalists being flown in to train their local counterparts. A dynamic domestic press – one that is fiercely critical of the state and refuses to toe any party line – has now emerged in Myanmar. However, all is not well with the fourth estate in the country. Over the last three years, both the military and civilian administrators in the country have gone after journalists in a manner reminiscent of the erstwhile military government. A detailed timeline of all such instances is available here. Things worsened recently, with an uptick in the frequency of legal charges being brought against journalists. 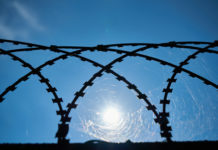 For instance, in June, six reporters were detained – three each in two separate incidents – and in May, the chief editor of a newspaper was arrested in connection with a defamation case. Despite this, the Burmese media has refused to cower, and has responded firmly. Since early June, local journalists have been mobilising to defend their constitutional rights and put pressure on the government to immediately revoke the charges against detained journalists. The ultimate aim is to repeal Article 66(d) of the country’s Telecommunications Law, which relates to defamation. Several prominent journalists have come together to establish a collective called the Protection Committee for Myanmar Journalists, which is now the nodal point for civil society mobilisation. It organised its first rally on June 8 during which 100 reporters stood outside a Yangon court in the rain, wearing “Freedom of Press” armbands. The news agency Reuters called it the “first significant show of opposition to the telecommunications law”. In the second round of demonstrations, a signature campaign against the defamation law was organised. One event related to it was planned near Yangon Region Military Command on June 23. However, the local government banned it, forcing the organisers to shift venues. The demonstrations sharpened after the June 26 detention of three reporters by the army in Shan State under the unlawful association law. The following day, 25 local media groups wrote to Burmese President Htin Kyaw, terming the detention as “restricting and censoring the press” and demanding their immediate release. On June 30, the Protection Committee for Myanmar Journalists organised a third round of demonstrations outside Yangon City Hall where the chief editor of The Voice Daily newspaper, who was arrested in May for airing a satirical play on the army, is being tried. The protestors demanded the immediate release of the detained journalists. At the event, members of the collective spotted a member of the military in plainclothes taking photographs of the journalists attending the protest, following which they filed a complaint with the police in accordance with the newly-enacted Protecting the Privacy and Security of Citizens law. However, on July 6, the local police rejected the complaint, arguing that the accused serviceman had not violated any law. The journalists now plan to sue the police officers who dismissed the complaints, alleging that they had overstepped their mandate by taking a judicial matter into their own hands. While the episode is a throwback to the days of the junta when state surveillance of private citizens, especially dissenters, was commonplace, it also reflects a significant shift in Burmese civil society’s relationship with the state. Unlike earlier, citizens are steadily shedding their apprehensions and confronting state authorities head-on, paving the way for a new social contract. The innumerable complaints and lawsuits filed by the military against civil society actors in the past two years make it clear that it is unprepared to handle criticism, which was dealt with firmly during junta rule. This reflects the paradox of Burma’s new democracy, wherein a disproportionately powerful military continues to influence the state apparatus despite the existence of a popularly-elected government. However, a graver and more structural issue is the continued survival of repressive laws that were used by both Myanmar’s colonial occupiers and the military junta to crush dissent. These laws – for instance, defamation and unlawful association – are now being used by a bigger coterie of state actors within a constitutionally legitimised environment. For the moment at least, the pressure from journalists in the country appears to have spurred the civilian government into some corrective action. On July 6, State Counsellor Aung San Suu Kyi announced that the Burmese Parliament is “considering amendments to that particular [defamation] law”. However, its exact contours remain unclear. While a total repeal of the law cannot be expected given the civilian administration’s precarious relationship with the military, which strongly favours the law, an amendment to render the offence into a bailable one may be on the cards. Further, on July 7, U Shwe Mann, chairman of the Union Parliament Legal Affairs and Special Cases Assessment Commission, said that changes to the colonial-era Unlawful Associations Act need to be considered. Although Suu Kyi’s party, the National League for Democracy, can play a central role in repealing or reforming these outdated laws owing to its parliamentary majority, it remains to be seen if the civilian leadership can stare the military down on such issues. This article was first published in Scroll.in under the title ‘Faced with state repression, journalists in Myanmar push back strongly‘. Angshuman Choudhury is a New Delhi-based political analyst and independent journalist, currently coordinating the South East Asia Research Programme at the Institute of Peace and Conflict Studies (IPCS).